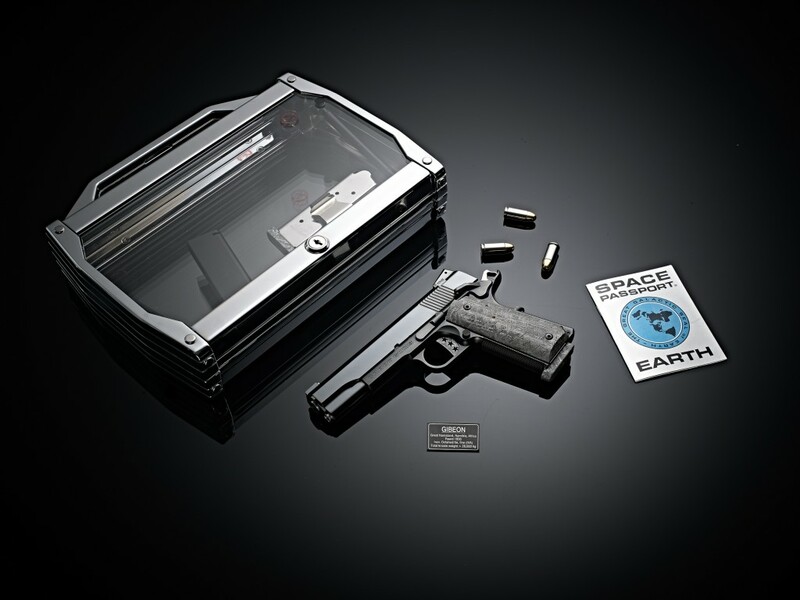 Perfection billions of years in the making, that’s the promise offered by Cabot’s Cosmos 1911 pistol. 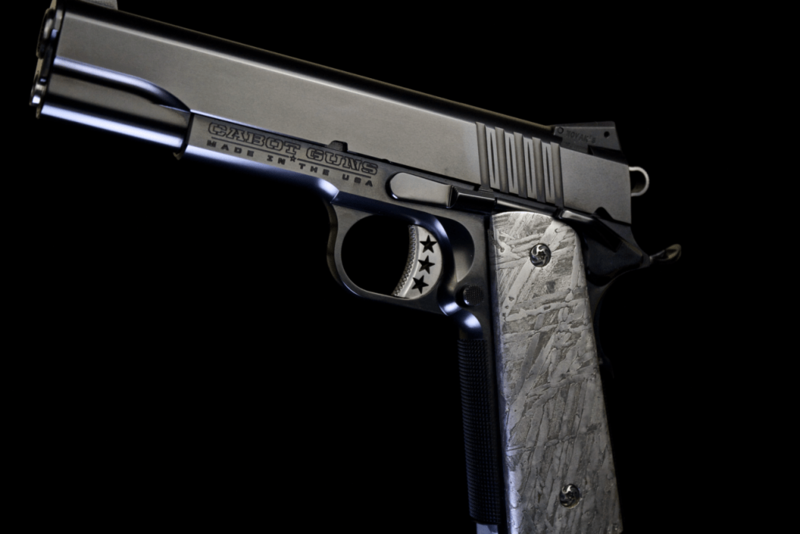 An other-worldly offering brought to you as none other could; Cabot Guns brings the galaxy to your fingertips as you lay hand on the rarest of materials and the finest of pistols. 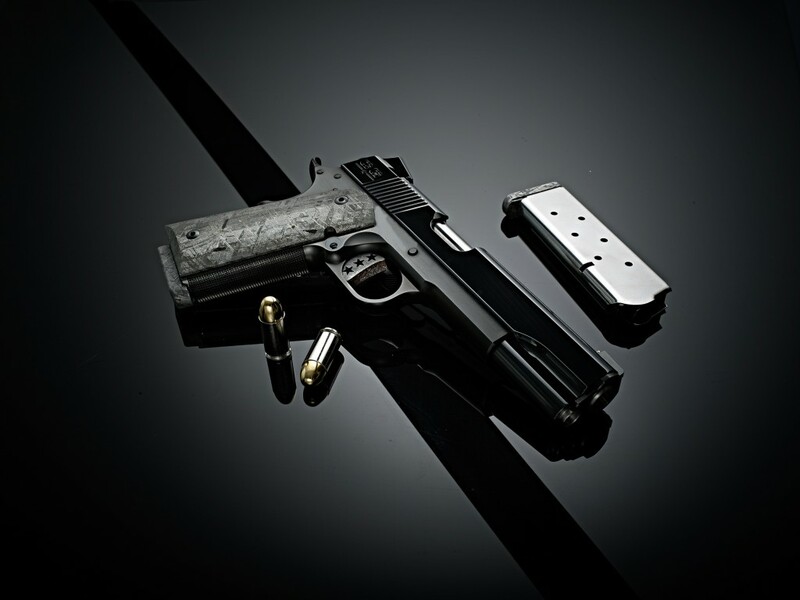 We began with our famed National Standard design – one which reflects the term “standard” as it is defined by an industry demanding no less than perfection – and from there laid forth a pistol one-of-a-kind true to the phrase both in name and embodiment. It takes nothing but a fleeting glance for the Cosmos to achieve stunned silence on the part of the observer. A slick-sided frame of American Carbon steel interrupted only by Cabot’s Trinity striping cocking serrations and complimenting micro-serrations marks with breathtaking simplicity the awe welling in your soul. Immediately the eye is drawn rearward, to grips the likes of which this earth has never seen. Meticulously formed of the remnants of a shooting star, the Gibeon Meteorite, the pattern within cannot adequately be described in prose. It has a name, “the Widmanstätten pattern,” which attempts to quantify in words the out-of-this-world interleaving of kamacite and taenite into bands termed “lamelle.” Found nowhere but in the structure of octahedrite iron or pallasite meteorites, their design has only ever been formed in the depths of space and time. Cabot Guns captures that interstellar beauty and wraps it artfully around the Cosmos. Of this perfection of universal proportion Cabot crafted the Cosmos. 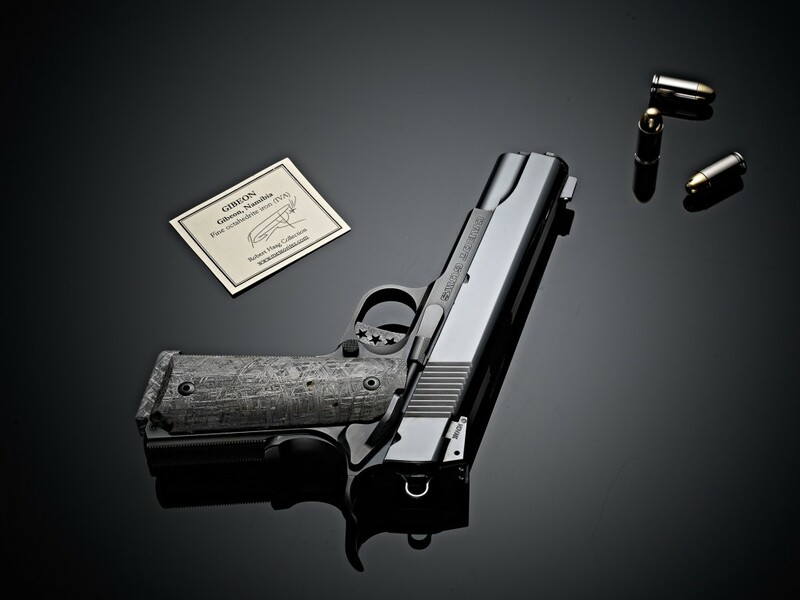 Bearing the Cabot Guns’ name and industry defining pedigree, the Cosmos features everything you’ve come to expect from ultra-premium craftsmanship; precision checkering at the front and back straps allowing hand to form to pistol in a firm and confident grip, a national match grade barrel perfectly framed by a lowered and flared ejection port, and so much more. The Cosmos bears the fit and finish ubiquitous of the Cabot pledge to excellence and perfection.